We like to think scientific progress as something evolving in a clear way, relying exclusively on research and method, and that the authority of a scholar is assessed on the basis of his results. But, as it goes for all human things, many unpredictable factors may intervene in the success of a theory or discovery — human factors, as well as social, political, commercial factors: which, in a word, have nothing to do with science. There are good possibilities you never heard about Innocenzo Manzetti, even if he was one of the most fertile and dynamic italian geniuses. And if things had turned out differently for him, less than a month ago, on the 29th of June, we would have celebrated the 150th anniversary of his major invention, which had a profound impact on history and our own lives: the telephone. 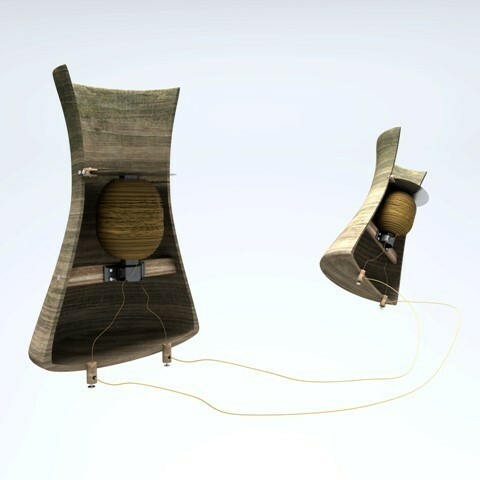 But, on the account of a streak of unlucky events you’ll read about in a moment, the paternity of the first device for long-distance transmission of sound was attributed to others. This story takes place in a time of fertile change, in the midst of an international rush for technological innovation, a no-holds-barred struggle to the ultimate patent: in this kind of conflict, among inventors in good faith, spies, legal litigations and strategic moves, inevitably someone gets cut out. Maybe because he lives in a particularly secluded region, or because he is not wealthy like his opposers. Or simply because he, a hopeless idealist, is less interested in disputing than in research. Innocenzo Manzetti’s figure belongs to the heterogeneous family of innovators, scientists and thinkers who, for these or other reasons, were confined to an undeserved oblivion, never to show up in history books. Yet his creativity and ingenuity were far from ordinary. 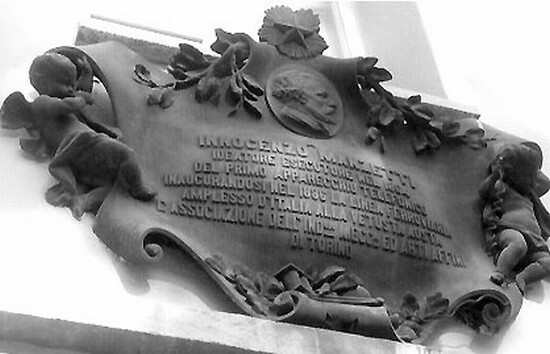 Born in Aosta on March 17th 1826, Innocenzo was the fourth of eight siblings. Interested, since he was a kid, in physics ad mechanics, he got his diploma in surveying in Turin, and then settled back in his home town for good. Manzetti divided himself between his job at the civil engineering department, and his real passion: physics experiments on one hand, and on the other, designing and building mechanical devices. The range of his interests was all-encompassing, and his fervid mind knew no repose. 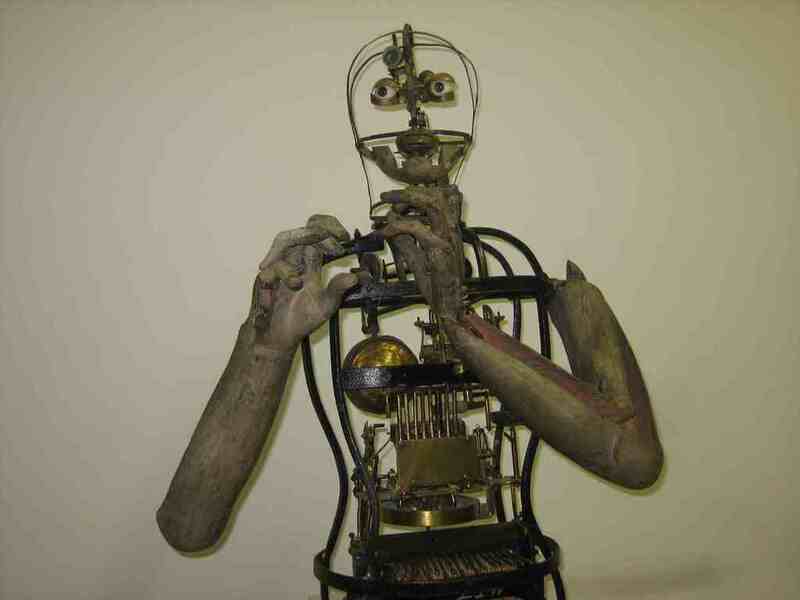 In 1849 he presented to the public his “flute player”: an iron and steel automaton, covered in suede, complete with porcelain eyes. The mechanical man was able to move his arms, take off his hat, talk, and perform up to twelve different melodies on his instrument. An astonishing result, which thanks to a municipal grant Manzetti was able to showcase at the London World’s Fair in 1851; but ultimately destined, like many of his inventions, to never achieve the hoped-for resonance. His love for mechanical gear pushed him to build a flying automated parakeet, and a music box featuring an animated puppet. But beyond these brilliant inventions, which were meant to amaze the audience and show off his exceptional mechanical expertise, Manzetti also devised very useful, practical solutions: he developed a new hydrated lime, built a water pump which was used to drain the floodings in the Ollomont mines, but also a machine for making pasta, a filtering system for public drinking water, a pantograph with which he was able to etch a medallion with the image of Pope Pious IX on a grain of rice. 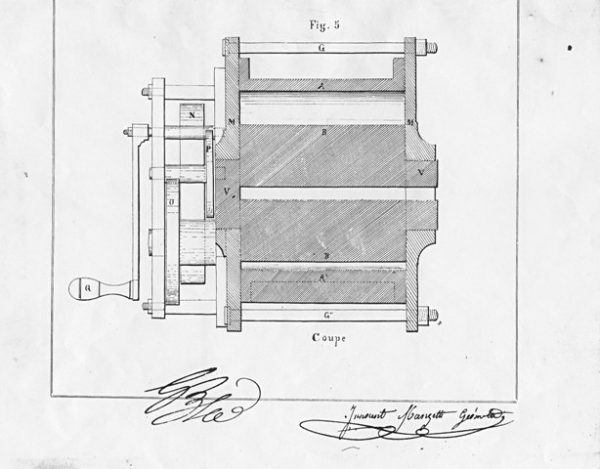 Excerpt from Manzetti’s pasta machine patent. 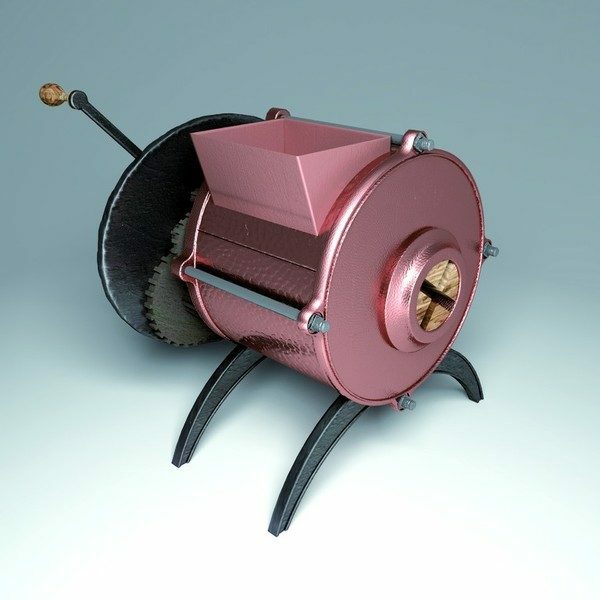 3D reconstruction of the pasta amchine. 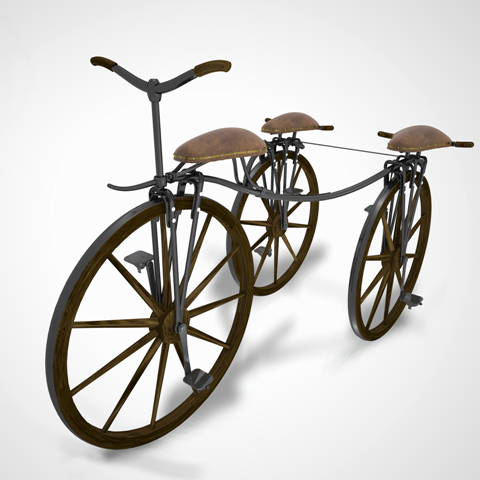 3D reconstruction of the 3-seat velocipede. 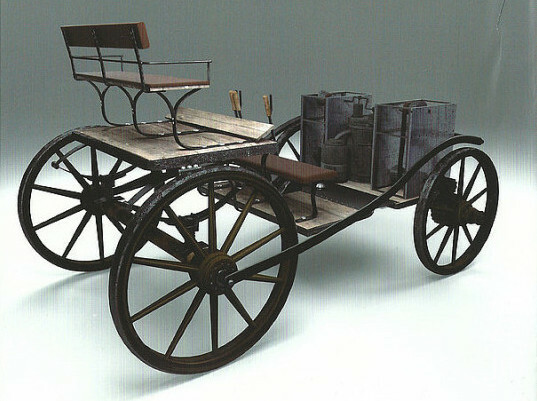 3D reconstruction of the steam-powered automobile. Over the years, his fellow citizens learned to be amazed by the inventions of this eccentric character. But it wasn’t until 1865 that Manzetti presented the two prototypes which could have granted him, on paper at least, fame and fortune: an automobile with an internal-combustion engine, the first steam-powered car with a functional steering system; and above all the “vocal telegraph”, true precursor of the telephone – six years before Antonio Meucci registered his idea in 1871, and eleven years ahead of Alexander Graham Bell‘s patent (1876). If the legal battle over the paternity of the telephone between these last two inventors is well known, then why is Manzetti’s name so very seldom mentioned? Why didn’t this forerunner gain a prominent status in the history of telecommunications? And just how reliable are the rumors depicting him as a victim of a complex case of international espionnage? There may be various causes condemning a scientist, albeit brilliant, to oblivion. 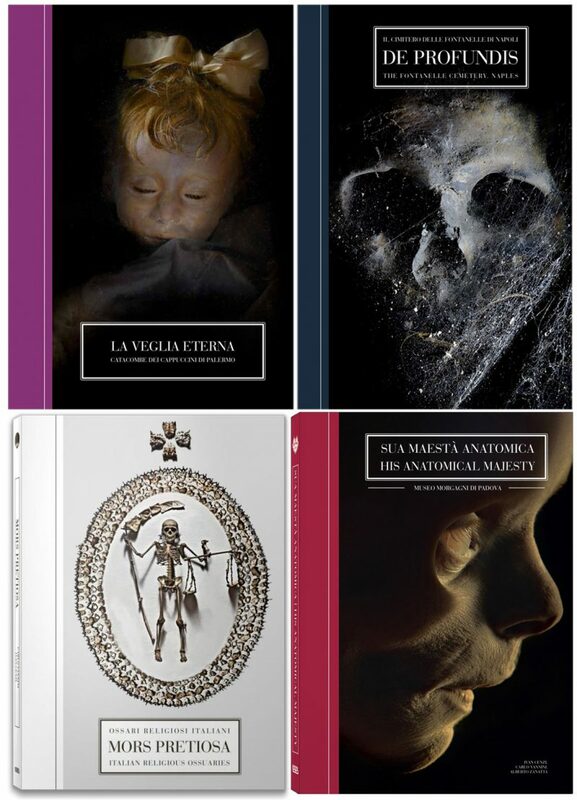 We decided to talk about it with one of the major experts in Manzetti’s life and work, Mauro Caniggia Nicolotti, who authored together with Luca Poggianti a series of biographies on the inventor from the Aosta Valley. Following is a transcription of the interesting conversation we had with Mauro. 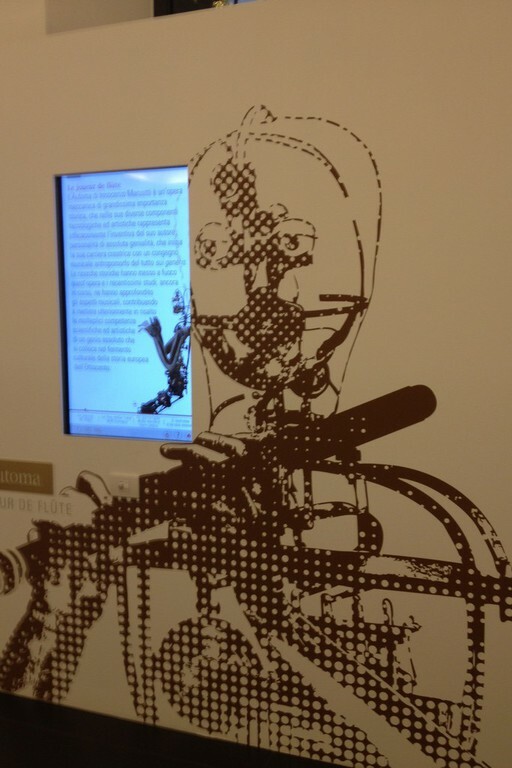 Between the ‘800 and the ‘900, a series of extraordinary technological innovations took place, which in turn produced spectacular patent litigations – featuring many hits below the belt – to secure the rights of these revolutionary inventions: from radio to cinema, from the automobile to the telephone. In fact, several scientists, physicists, engineers and inventors in different parts of the globe came to similar conclusions at the same time, and what proved most successful in the long run was not the novelty of the project itself, but rather a small improvement in respect to the versions proposed by the adversaries. What was the atmosphere like in those times of great change? How was this turmoil perceived in Italy? Did the economic and cultural conditions of the Aosta Valley at the time play a part in Manzetti’s marginalization and bad luck? I think what you said is true for every context in which an “invention” occurs. It is as if there were a thousand ideas floating in the sky, and somebody turns out to be the only one capable of grabbing the right ones. Aosta Valley was very isolated. Just consider that major roads were built barely a century ago. Aosta at the time was known as a cul-de-sac, a dead end. Manzetti operated in this out-of-the-way context, which was quite rich culturally but not very technologically advanced. The first local newspapers were arising right then, and they were re-publishing news appearing on international papers; Manzetti absorbed every details about the inventions he read about in the news. He was like some sort of Gyro Gearloose, you know… in a word, a genius. In every field, not just plain science: he was a fine engraver, he was requested as a callygrapher in Switzerland, his interests were wide. In his “workshop of wonders” he tried first of all to solve the problems of his own town, as for instance public lighting, or water supplying from the Buthier creek, which was particularly muddy, so he built filters for that… he tried to refine some solutions he learned from the papers, or he came up with original ideas. He absorbed, perfected, created. So even in this limited context, Manzetti was an explosion of creativity. 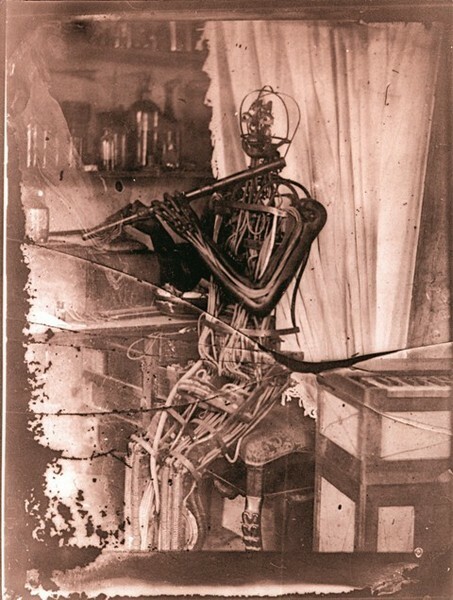 The local papers kept saying that he should have been living elsewhere for his genius to shine through, and the muncipal administration paid for his trip to the Exposition in London, so really, his talent was acknowledged, but for his entire life he was forced to operate with the poorest means. Manzetti had undoubtedly a prolific mind: would his career have been different, had he cultivated a more entrepreneurial attitude? Was he well-integrated in the social fabric of his time? What did his fellow citizens think of him? Certainly Manzetti was no entrepreneur. I think he really was a dreamer: although poor, he never went for the money. Instead he preferred to help out, so much so that he was elected to a post that today we would call “Commissioner of public works”. So yes, in a sense he was socially integrated. Recently I discovered a vintage article (we weren’t able to include it in our new book) in which a traveller, describing the inhabitants of the Aosta Valley, used a derogatory term: he called them “hillbillies”, and wrote that they were ignorant and badly dressed. In this very article the author pointed out that, apart from the bishop who came from Ivrea (as the episcopal seat was vacant) and must have looked like an alien, the only other elegantly dressed citizen was Manzetti. So the feeling is that he was seen, maybe not really as a foreign body, but nevertheless as a person well above the average. 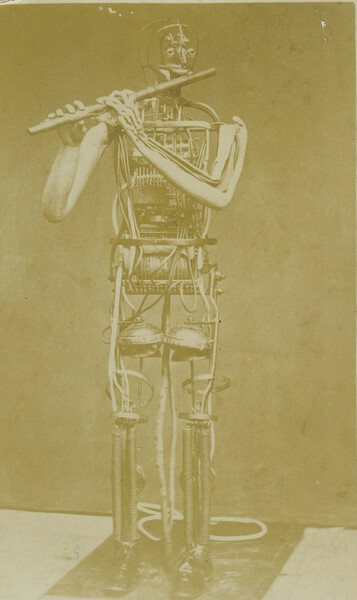 In 1865 Innocenzo Manzetti presented his “vocal telegraph”, after envisioning it at the end of 1843 and having spent more than fifteen years in experiments and development. Some years before (1860-62) Johann Philipp Reis had demonstrated the use of his experimental phone, probably based on Charles Bourseul‘s research: this device however was meant as a prototype, useful for further studies, and was not entirely functional. How was Manzetti’s version different? I read that his telegraph had some flaws, especially in the output of consonants: is that true? It’s true, in Manzetti’s first experiments of sound transmission the voice was not clear. 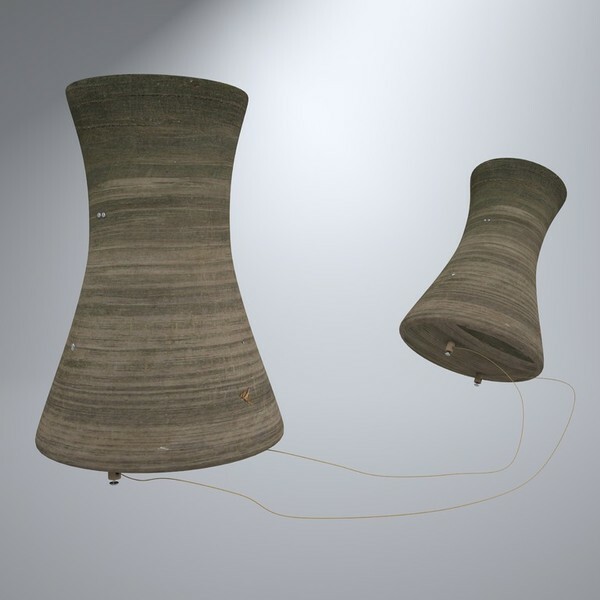 You have to keep in mind that carbon filters were not available, along with every improvement that came along later on. His first attempt was done with makeshift gears, or at least with low-quality materials. 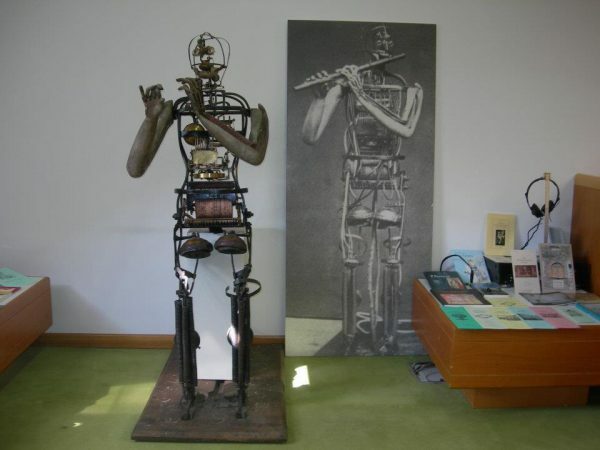 Actually even inside his much celebrated automaton there were some low-quality pieces, so much so that it stopped working now and then. 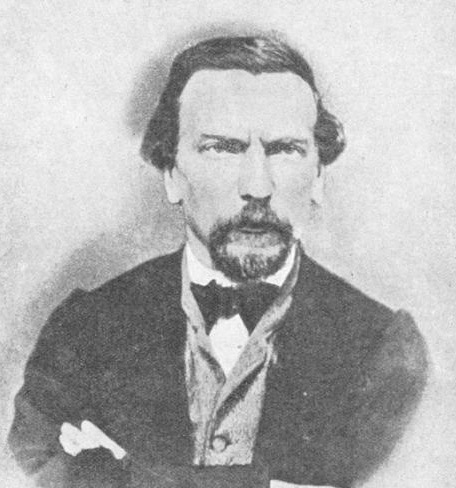 The true problem is that the man who experimented the vocal telegraph with Manzetti was his friend, the canon Édouard Bérard: and Bérard was a perfectionist, even a bit fastidious. That’s why he didn’t report just the news of sound transmission but, instead of giving in to the excitement of having been the first human being to hear a long-distance call, he felt the need to specify that the sound performance was “not clear”. Looking at it today, it sounds a little bit like complaining that the first plane ever built was able to fly “only” for some hundred meters. Why didn’t Manzetti patent his invention? He didn’t patent it for a number of reasons. Firstly, patents were extremely expensive and Manzetti couldn’t afford it. The only things he patented were the ones that could hopefully bring in a little money: the pasta machine, which is still under his patent today, and the hydrated lime which looked promising. His telephone was immediately torn to shreds. 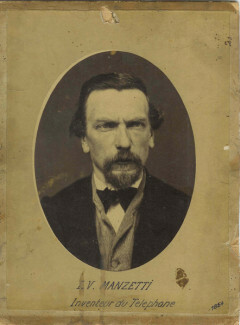 Between July and August 1864 Minister Matteucci visited Aosta Valley, and saw Manzetti’s telephone: so there must have been an unofficial presentation, a year before the public one. The Minister however openly confronted Manzetti, and his disapproval was expressed along these lines: “Are you crazy? We just united Italy, we faced revolutionary movements… the telegraph operator today is able to send a message, but at the same time to check its contents. A telephone call between two persons, without any mediator, without any control, could be dangerous for the government”. Even some newspapers in Florence skeptically asked who in the world could find such an invention to be useful: maybe young mushy lovers wishing one another goodnight? There was widespread criticism about him and his device, which would be of absolutely no use whatsoever. 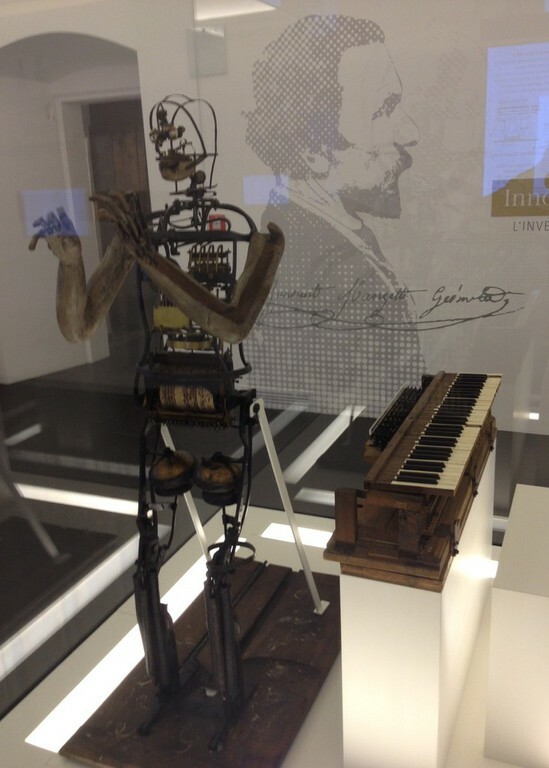 Then again we have to remember that Manzetti himself had not a clear idea of all the developments his invention could entail: he thought of it simply as a way to make his automaton talk. 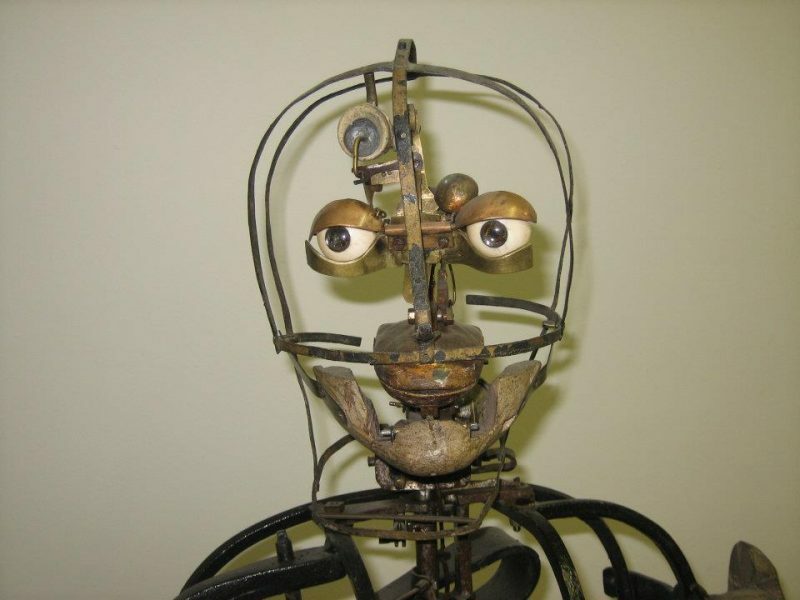 So much so, that the first newspapers called the device “the Mouth”, because it was designed to fit into the automaton’s face. I don’t think he immediately understood what he had invented. His friends slowly made him realize that his device could be useful in a number of other ways. 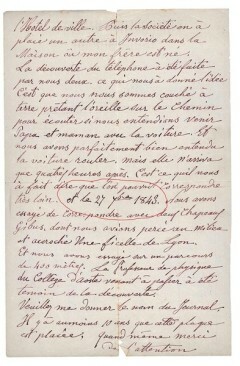 Letter by Innocenzo’s brother, describing the first experiments in 1843. Alexander Graham Bell officially patented the telephone on February the 14th 1876. A year later, on March the 15th, Manzetti died in Aosta, forgotten and in poverty. And here the waters begin to get muddy, because the dispute between Bell and Meucci kicked off: did they both know Manzetti? According to your research, what are the elements suggesting a case of international espionnage? How reliable are they? The battle over the paternity of the telephone consisted of two phases. 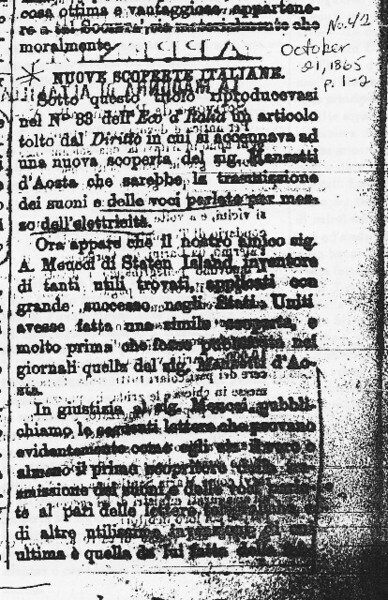 The first one is all-Italian, in that Manzetti presented his “vocal telegraph” in 1865 (after his friends finally convinced him); the news travelled around the world, and in August it showed up in New York’s Italian-American newspaper L’eco d’Italia. Meucci was in NYC at the time, and he read the news. 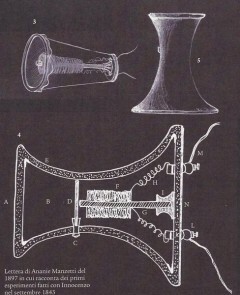 He replied with a series of articles in which he stated he invented something similar himself, and he described his device – which however was limited in respect to Manzetti’s, because instead of the handset it featured a conductor foil one had to keep between his teeth in order to transmit the words through vibrations. The articles ended with Meucci inviting Manzetti to collaborate. We don’t know whether Manzetti ever read this series of articles, so the question seemed closed until 1871, when Meucci deposited a caveat for his rudimental invention, which was not yet a proper telephone. In a following moment, there was the litigation between Meucci and Bell. 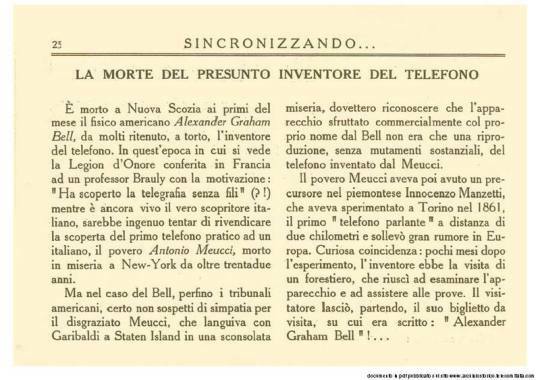 Bell frequented the same company with which Meucci deposited his invention, and strangely enough he patented his telephone in 1876, in the exact moment Meucci’s caveat expired. Then in the 1880’s a whole series of lawsuits followed, because precursors and inventors, real or alleged, sprang up like mushrooms. Once the dust settled, only Bell and Meucci were left to stand. And then there was the issue of the “American intrigue”. 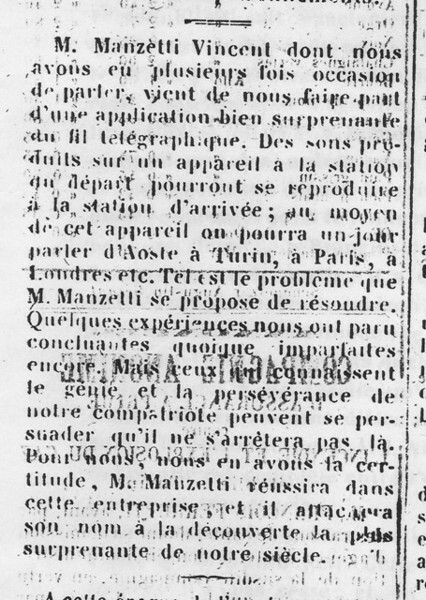 The Aosta newspaper reported in 1865 that some English “mechanics” (i.e., scientists) came to Aosta to attend Manzetti’s presentation of his telegraph, maybe to figure out his secrets: according to some sources, among them was a young Bell, not yet renowned at the time, and Manzetti himself later said he still had Bell’s business card. I would like to stress that we are not 100% sure that it really was Bell who travelled to Aosta in ’65, but the unpublished documents seem to confirm this hypothesis (and being private notes, there would have been no reason to lie about that). But the real “scandal” happened later. On December the 19th 1879, a certain Horace H. Eldred, director of the telegraph society in NYC, met up with Bell: he was nominated President of Missouri Bell Telephone Company, and immediately took off to Europe. He arrived in Aosta on February the 6th, went to a notary together with Manzetti’s widow, and he acquired all the rights to the vocal telegraph: the deal was that he would appeal to the Supreme Court of the United States to recognize Manzetti as the true inventor of the telephone. He obviously did not tell the grieving woman that he was one of Bell’s emissaries. Perhaps Bell calculated that by buying exclusive rights from Manzetti, who was already thought to be the first inventor, he could keep in check all the others who were battling him. Eldred took all the projects and everything with him. But at some point I believe Eldred realized what he had just bought. He understood he held in his hands an improvement of the telephone, and thus he immediately came back to America, on April the 14th. 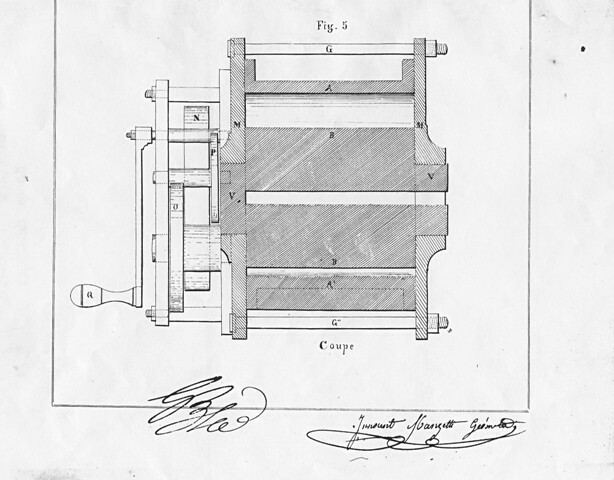 In spite of Bell, he patented the device under his own name. A predictable litigation ensued, between him and Bell: Eldred won, opened a nice big factory on Front Street, New York, ran ads about his product, became vice-president of Telephones in the US and delegate in Europe. Eventually, he parted with Bell but went on to have a stunning career. In your opinion, is Innocenzo Manzetti destined to remain in that crowded gallery of characters who showed prodigius talent – but were defeated right on the verge of glory – or will there be a late acknowledgement and a revival of his figure? Do you have some events planned for the anniversary? We launched the “150th Forgotten Anniversary” with a small conference – but everyone here was busy with another recurrence, the first ascent on the Matterhorn (which was even celebrated with military aerobatics shows). Regarding Manzetti, there is no acknowledgement whatsoever; I intend to repeat the conference in July and August, but I already know the results will be even worse. Nobody cares, nor does the Administration. 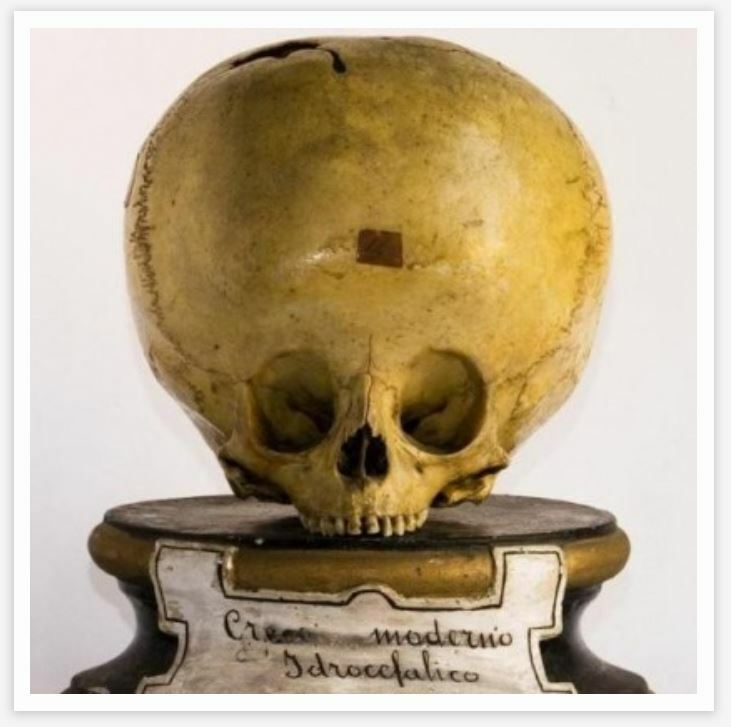 We had to fight for years just to have a tiny museum room, 6.5 by 7.5 meters wide, inside the sacristy of a church, where the automaton is on display along with some digital panels… nobody intends to believe in this. Nemo propheta in patria, “nobody’s a prophet in his own country”: in the Aosta Valley, as long as there’s just me and Luca working on this, we will always be seen as visionaries. Maybe if some interest for Manzetti arose from the outside, then things could change — because when a voice comes from “outside the valley”, it is always taken more seriously. If only some English-speaking literature began to appear on the subject… but it takes time. As far as I’m concerned, I count on being still present for the bicentenary, even if I will be almost a hundred years old. I will be a senile man, but I’ll be there! To further explore Manzetti’s life and inventions, and learn more details about the fascinating case of “American espionnage”, you can find a whole load of information at Manzetti’s Online Virtual Museum, curated by Mauro Caniggia Nicolotti e Luca Poggianti. We also thank our reader Elena. This entry was posted in Anomalous Science and tagged aosta, automa, automaton, automobile, bell, car, creator, disputa, dispute, eldred, espionnage, father, flauto, flute, ingegneria, ingenuity, innocenzo, inventor, inventore, invenzione, italia, manzetti, meucci, padre, science, scienza, spionaggio, steam, storia, technology, tecnica, telefono, telegrafo, telegraph, telephone, val d'aosta, vapore. Non conoscevo Manzetti, ma è stato davvero un figo! Anche solo per l’automa che suona il flauto. Intanto, gli dedicherò uno spazio nel mio personale podio di gente geniale e degna di rispetto. A fianco a Tesla starà benissimo! Sponsorizzato dagli americani che con la scusa di dare dignità a Manzetti, finirebbero per prenderlo per il K-U-‘ spacciatamente. Maledetti Americani… maledetta gente… viva la misantropia, viva le cose fatte per il gusto di fare. A me non affascinano piu i “”””grandi”””” personaggi della storia. Mi interessano i dimenticati. W Manzetti! 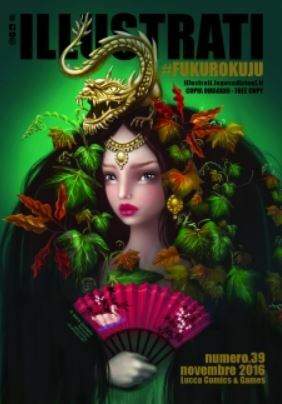 Funk U lo Bell e tutti quei ladracci puzzolenti. Manzetti è sicuramente il simbolo di tanti geniali ed ingenui inventori che non hanno capito le” leggi di mercato”.L’importante è che almeno qualcuno sappia del suo genio!! Grazie,Bizzarro,a volte con i tuoi articoli tieni viva la memoria di cose che ti domandi come abbiano fatto a finire nel dimenticatoio…!! Ci ricordiamo degli italiani, e di esserlo, solo quando quando vinciamo un Nobel, senza pensare che, chi lo ha vinto, è dovuto andare all’estero per poter studiare e fare ricerca… Manzetti, purtroppo, è uno di questi, completamente dimenticato. Articolo ed argomento interessantissimo per non dire di più! Non avevo mai sentito parlare di Manzetti, sono sbalordito dal genio di quest’uomo che, anche se probabilmente apprezzato e stimato dai concittadini suoi contemporanei, è rimato per più motivi sconosciuto a praticamente la totalità del mondo. Grazie ancora una volta BB!